A man hunts seals from a kayak using a throwing board and dart with attached leather line resting on a float board. He wears a gut parka and hunting visor. St. Michael, c1880. 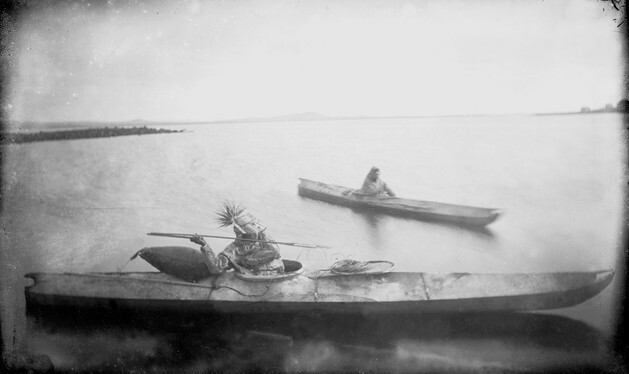 Photo by Edward W. Nelson; courtesy of the National Anthropological Archives, Smithsonian Institution, GN SI 06383.